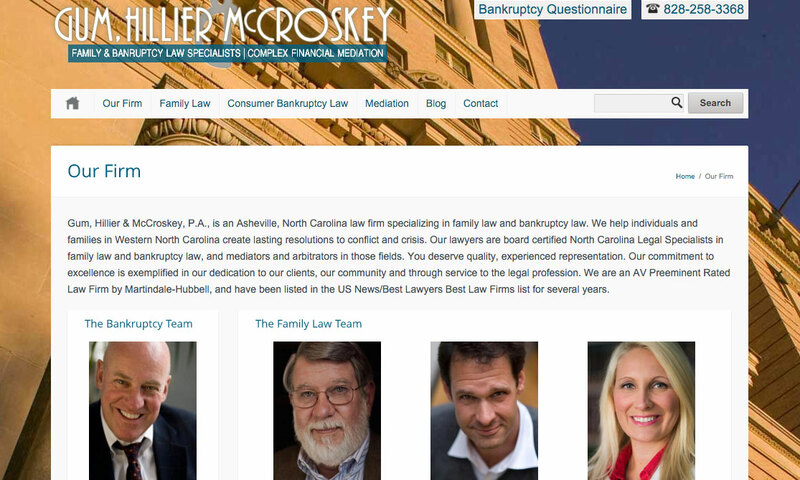 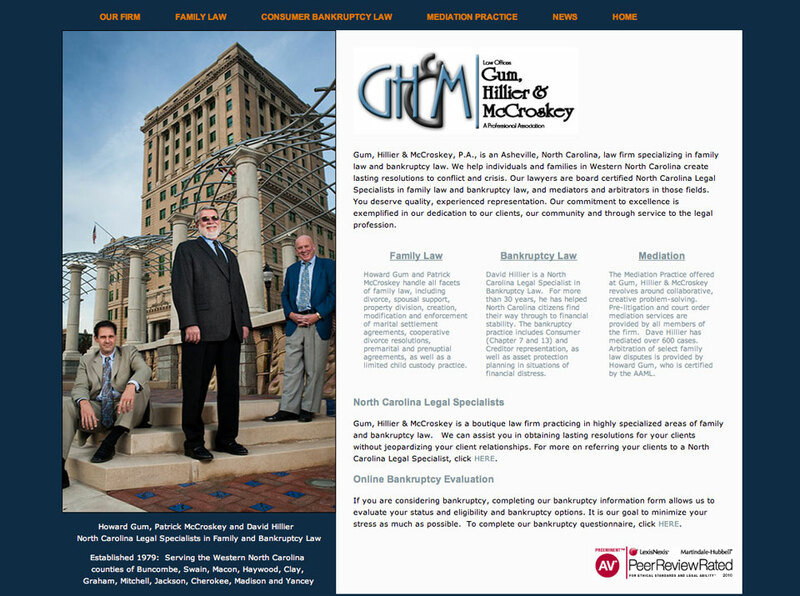 We have been working with the Gum, Hillier, McCroskey firm since late 2003, shortly after coming to Asheville. 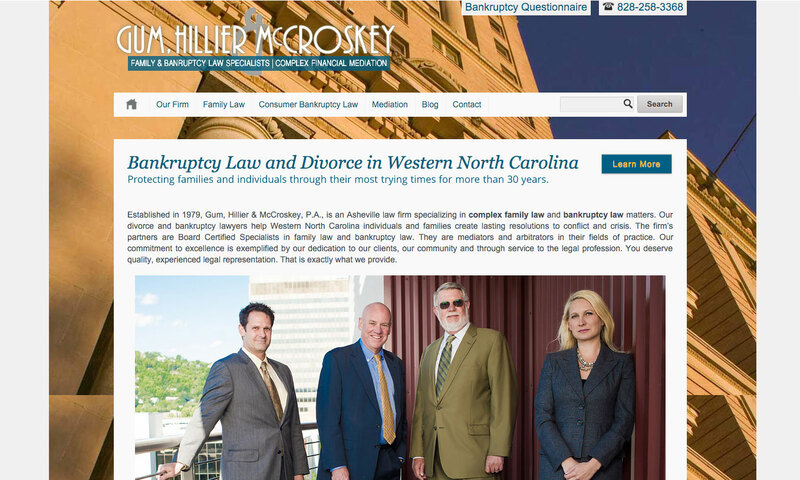 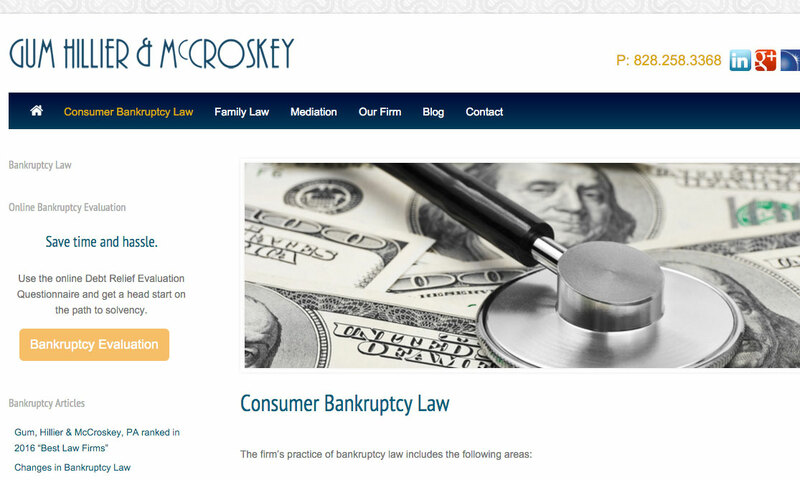 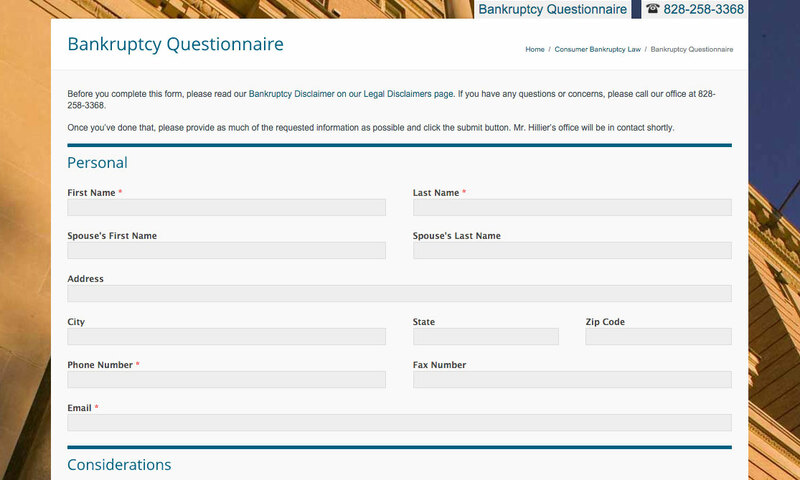 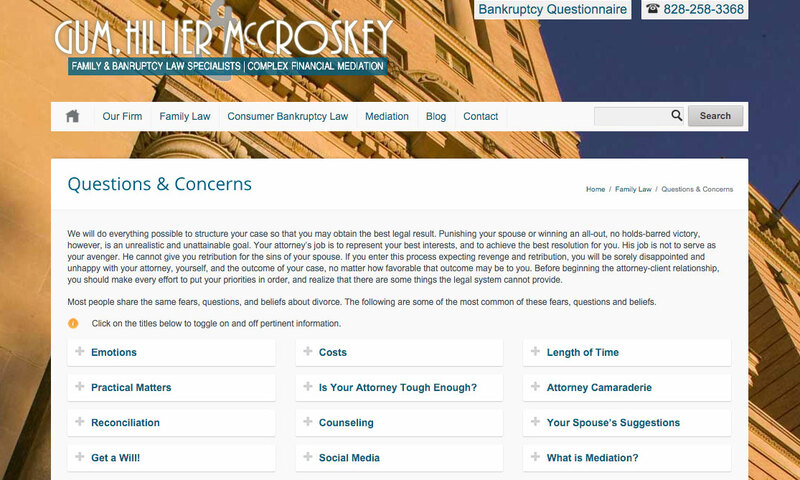 Introduced to the firm through mutual service to the 28th Judicial District bar with Patrick McCroskey (administrative liaison and Executive Committee member respectively), the relationship started with a fairly urgent phone call – the firm’s site was down and they could not reach their hosting service. 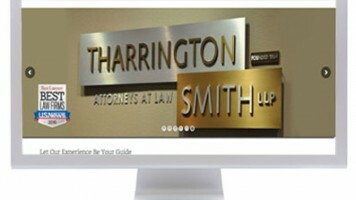 Sadly, that service had failed – and failed to inform their clients!! 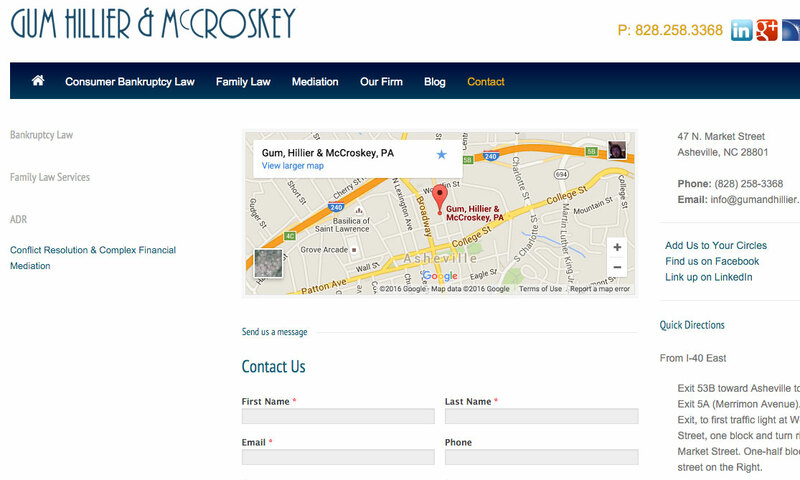 We jumped to action and got the firm a duplicate site developed and restored as quickly as possible. 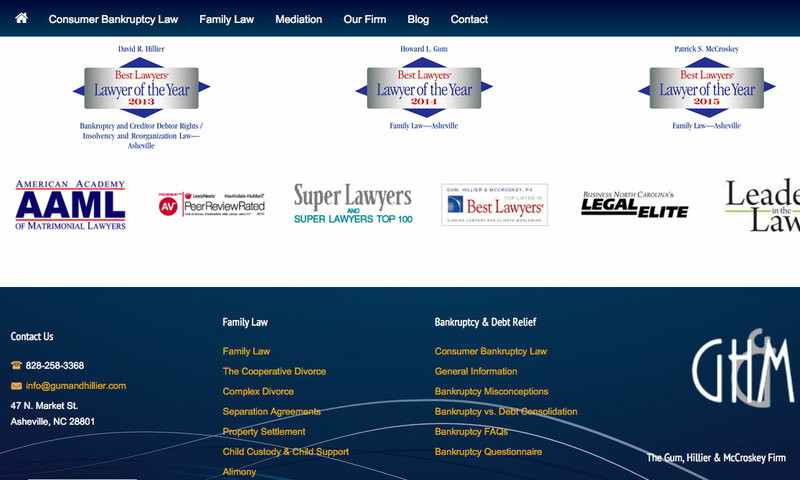 Since that early emergency (the last of its kind for the firm) we have worked with the firm’s lawyers to establish what is arguably one of the most professional examples of superior web presence for law firms available. 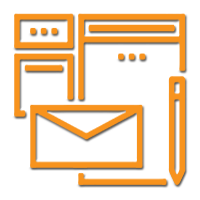 Full of rich content delivered in a concise and organized manner the site embraces the power and flexibility of open-source content management. 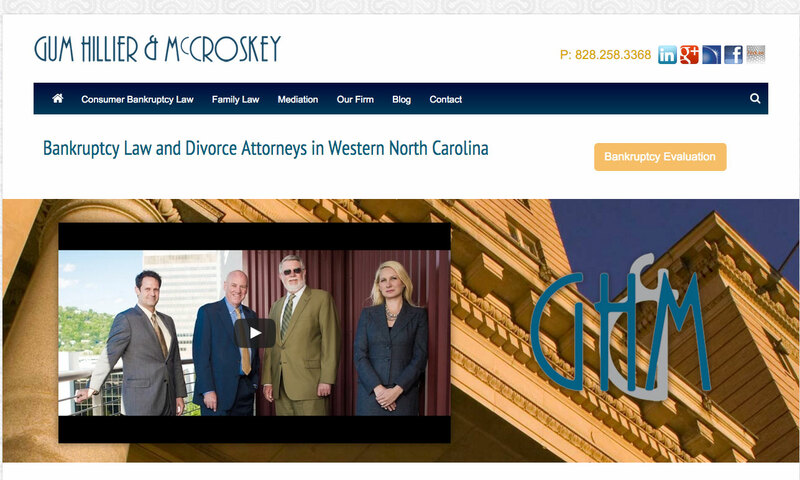 This first, most important relationship with the lawyers at Gum, Hillier, & McCroskey, set the stage for the kind of professional service we deliver. 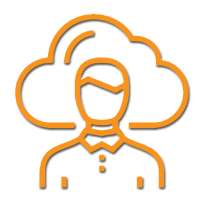 Through careful listening to and learning from Howard Gum, Gina was able to craft the highly proprietary, ethical process she employs for all her clients. 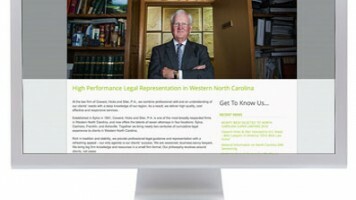 This relationship has, indeed, been foundational to the success of our firm, and indeed, the success we have been able to bring to all of our North Carolina lawyers. 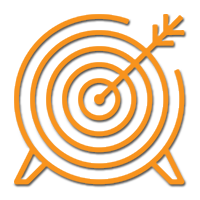 Our admiration and gratitude are without limits.